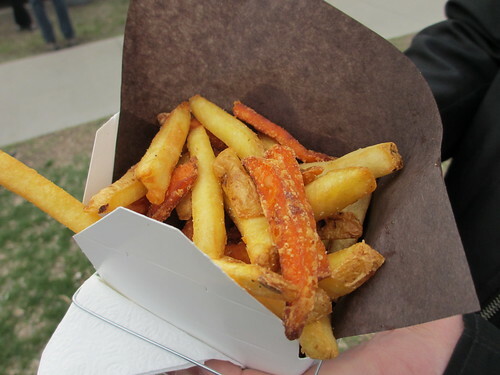 Only Here for the Food » Blog Archive » Truck Stops in Old Strathcona: The Kickoff! The first of five Truck Stops, our mini-What the Truck?! 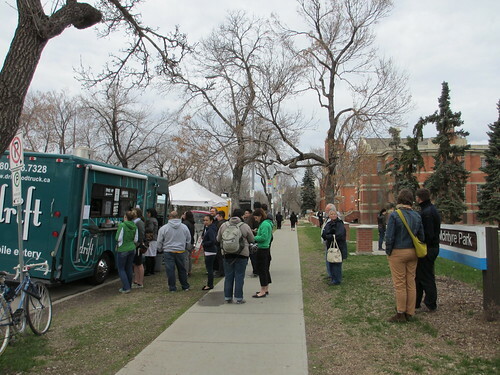 food truck festivals, was held tonight at McIntyre Park in Old Strathcona. Mack and I joked that between these five events and the several larger WTT festivals planned for this summer, we’re bound by the law of numbers to run into a calm, sunny day. 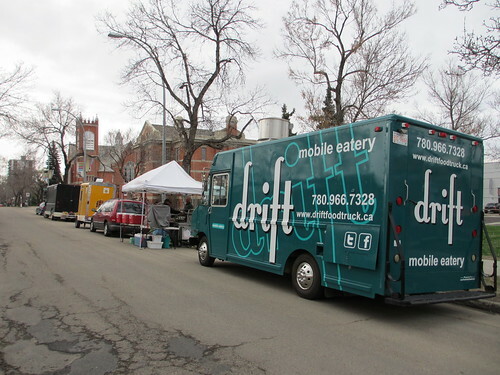 But thankfully, in spite of the weather, many hearty Edmontonians came out to enjoy food from Drift, Eva Sweet, Fat Franks and Molly’s Eats. Drift and Molly’s even sold out of a few items! 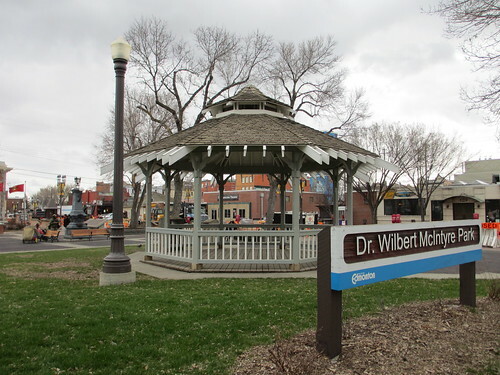 McIntyre Park really is an ideal location for food trucks – there is ample seating, a bit of rain cover in the form of a gazebo, and some grassy space. As with the two What the Truck?! events last year, Mack and I were happy to see that some people brought their children to the event. The Park is also bordered by a busy thoroughfare, with great visibility. I have to say I was secretly hoping some of the drivers in the passing cars might rethink their destination and come check out all of the activity on the street. In many ways, because it was less busy than some of our previous events, Mack and I were actually able to sample from all of the vendors! 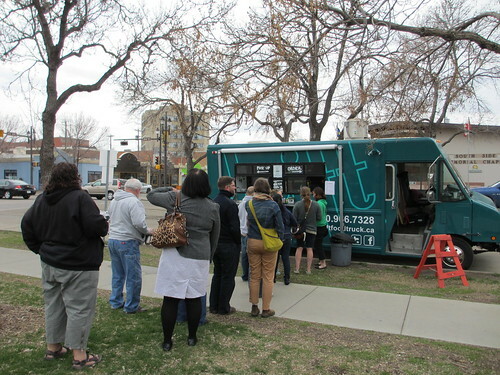 For example, we are rarely able to visit Drift at their downtown location during the day, so it was great to have the chance to finally try their falafel sandwich with a manageable line to boot! 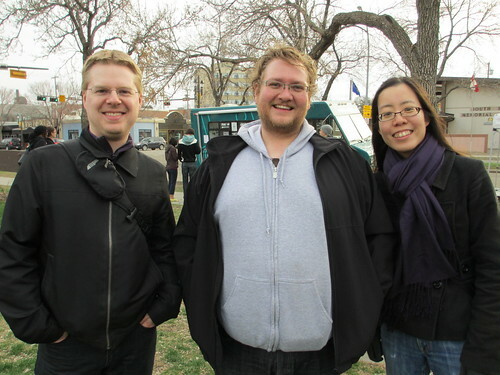 We really want to thank the Old Strathcona Business Association for their help in arranging these Truck Stops. Their enthusiasm and financial support is much appreciated. But wait, we’re not done yet – there are still four more Truck Stops to go! 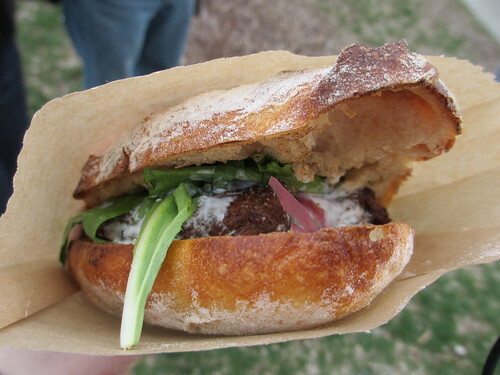 Join us for more street eats every Thursday from 5-9pm in May. 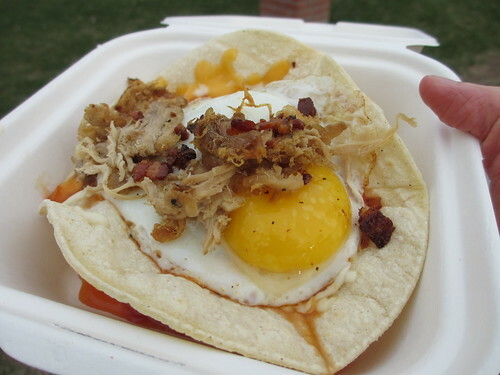 There will be a different line-up of trucks each time, so you’ll never have to have the same meal twice! 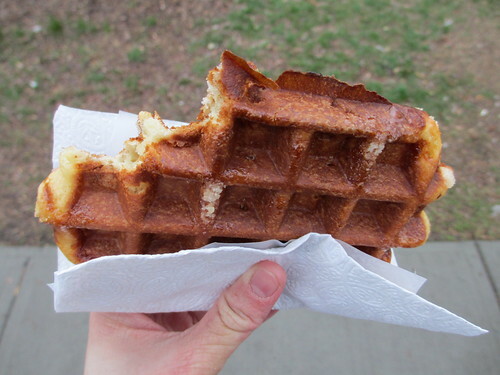 We’ll be updating the website every Sunday with the list of vendors for the coming Thursday. Hope to see you there! Check out Mack’s photoset here.